Ahh... another stop of my Filmi Journeys. 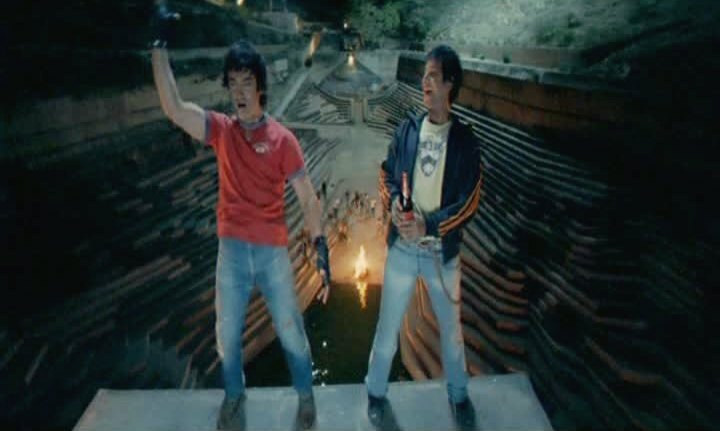 Masti ki Paathshala from Rang De Basanti. There I was. At Nahargarh [the fort] at Jaipur. Sigh....what mind bending structure. After watching the awesome promo, my expectations went huge for music of Mausam. But keeping in mind that Pritam is composing it, I had to keep them controlled. But somehow, after listening to the soundtrack for the first time, I feel its good. Though Punjabi is not my favorite genre of music, still the songs strikes balanced chords for a big entertainer directed by Pankaj Kapur. 'Rabba main toh mar gaya' is an instant reminiscent of 'Ajj din chadeya'[LAK], but voice of Shahid Mallya charms. Lovely track, that also has 'Reprise' by RFAK. 'Sajh dhaj ke' - a satire on 'foreign return munda' - is absolutely foot tapping. [Though oft repeated Mika is now annoying me.] Nonetheless, the lyrics and beats makes it fun listen. Ustad Sultan Khan's aalap starts 'Ek tu hi tu hi'-but the goosebumps moment is when Hans Raaj Hans enters. If you can pass the Chant like chorus singing, the melancholic mood of the song haunts you for longer. Reprise by Shahid Mallya, equally good. 'Poore se zara sa kam hai' needs some more listening. Rashid Khan sings it flawlessly, but still I can't get the mood of the song. Somewhere it sounds like 'Hamd' [Urdu for praise of the God]. Again a goosebumps moment - when I heard "Aag Lage uss aag ko' - based on 'Gujarati Duha'. Who else can sing it better than Karsan Sargathia. 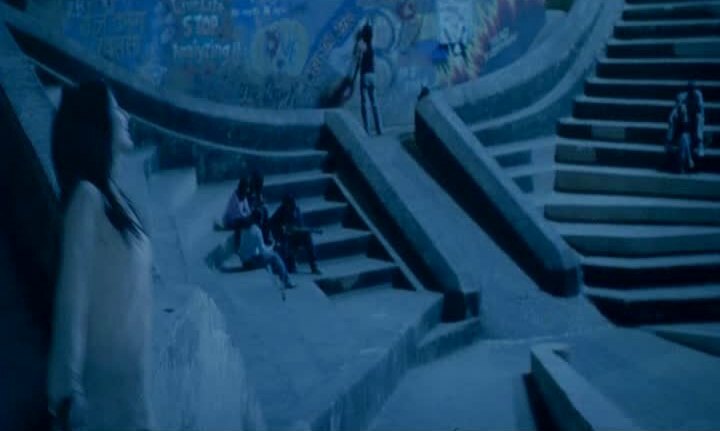 Fast drum beats and rendition of 'duha', this situational track should be must watch on screen. Though it would sound even better if proper balance between vocals and instruments was there. 'Mallo malli' by Tochi Raina- is an annoying techno dance number, that disturbs this rather smooth journey. Not a single track that is sung by a lady. Not a single duet - Sigh.. still, this all male OST is good, not great, lets see how Pankaj Kapur translates it on screen. Touted as 'based on life of APJ Abdul Kalam'; I am Kalam is actually 'inspired' by him. Directed by Nila Madhab Panda, this is one lovely charming tale of little 'Chhotu'; played endearingly by Harsh Mayar [no doubt he won a National Award for the performance]. The film effortlessly fits in the league of some fantastic flicks of the genre, like-Tahaan, Ramchand Pakistani, The Blue Umbrella and recent Stanley Ka Dabba. 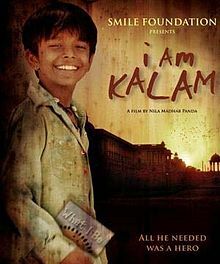 I am Kalam is story of Chhotu, who works at a roadside 'dhaba' [hotel] in a small town of Rajasthan, owned by Bhati [Gulshan Grover, surprisingly in a likeable performance]. Chhotu has a dream of getting educated in a school, become a 'big' man when he grow up. Film fanatic Laptan [Pitobash Tripathi] is also serving at the same place, senior to Chhotu, he gets annoyed by the attention clever Chhotu is getting by Bhati. Moments involving both of them are funny that keeps you engaged in the movie. Also, the charming smile-always on face of Chhotu [who names himself as Kalam after watching the president in news] keeps you hooked. Husaan Saad playing Ranvijay, the little prince living nearby Haveli, as the only friend of little Kalam, is again a likeable character. Though there are some glitches in editing - it is forgivable anyways because thanks to the clever screenplay, the main theme of Kalam's dream, never gets off the track. Adding another character - French tourist Lucy played by Beatrice Ordeix, the film gets more interesting as she interacts with Kalam[Chhotu], Ranvijay and Bhati - and promises Chhotu to take him to Delhi to study. Watch out for the jam session started by Lucy playing RavanHatha. A beautiful fusion piece of music is out there. The climax [as expected] has endearing moments which leaves smile on your face. A content feeling. Watch it for taste of real rural Rajasthan. Its simplicity and for Harsh Mayar - the star of the show. Well, after fabulous Khuda Kay Liye, I was curious to watch Bol by same director. [and excited, cause it has Atif Aslam as lead :)] Thanks a lot to Twitter buddy @dishoompk who blogs at Dishoom Dishoom ; who agreed to do this guest post about the movie. After reading the same, I am waiting for its release [by Eros Entertainment] in India. Lets see, what 'Dishoom' has to tell about the movie. "Bol" is Shoaib Mansoor's second directorial venture, after his debut "Khuda Kay Liye". Even though he is new to the movie world, Shoaib is not new to the world of entertainment, as he is the creator of some of the biggest pop culture phenomenons in the Pakistani entertainment realm. His has a great sense of awareness of what the public would love, and despite the apparent non-commercial nature of the movie, it is one of the biggest hits in the recent Pakistani movie history, if not THE biggest. Though it is conceived as an Atif Aslam movie by many people. And even though he has a significant supporting role in the movie, he is not, by far, the star of the movie. The star of the movie is actually the brilliant Humaima Malik and Mazhar Sehbai. "Bol" starts in the Lahore Central Jail, where Zainub (Humaima Malik) is on the death row. Her appeal for clemency was rejected, but her last wish of making a press statement, on the gallows, was granted. She, then, tells her story and how ignorance and male-chauvinism has led her to where she was. She tells the story of her family, which was a very conservative Urdu speaking immigrants from Delhi residing in the predominantly Punjabi Old Lahore. The family is headed by Hakim Shafiqullah Khan (Mazhar Sehbai), his wife, and his seven daughters. He keeps on hoping for a boy, and hence keeps impregnating his wife. Eventually, on the eight try, Saif is born. However, he is a Hermaphrodite. Zainub has to stand up for her sister and "Saifi", to Hakim Sahab's misogyny and ignorant beliefs, whilst Hakim Sahab is going through financial problems. Being uneducated, they have no choice but to remain more or less imprisoned in their house. A notable exception was the adorable Ayeshah (Mahira Khan), who is smitten by their neighbor Mustafa (Atif Aslam). She sneaks out with him, and sees the world, that none of her sisters know of! As the story progresses, the family goes through some heart-wrenching tragedies (brought on by Hakim Sahab's intransigent nature). As Zainub's story goes on, there's a realization among the press that she is actually innocent, and theres a race against time to stall the hanging. Though Bol has some of the same preachy elements in it, which were off putting for some in Khuda Kay Liye, but overall it is kind of.... awesome!! The viewer was emotionally invested in the fate of the family. The dramatic moments, the dialogues, the banter, made me laugh and sad on cue. As a Lahori, I get a bit more excited seeing more local locales and characters on the big screen, and this movie was full of them. There were only three songs that were lipsynced (the two Atif Aslam ones, and the one Mujrah one) - and all three were quite satisfactory. 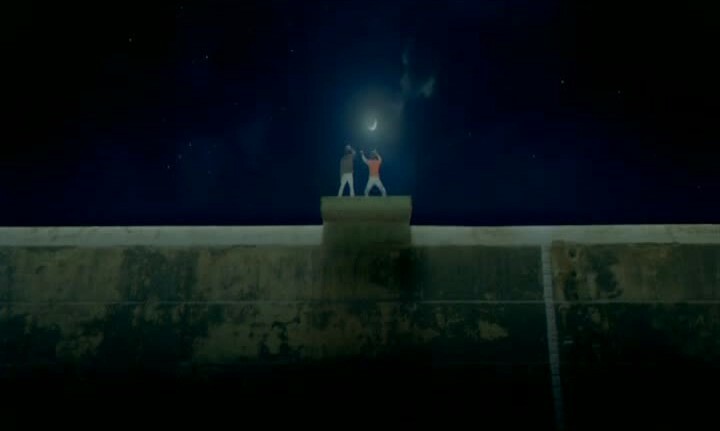 I did get a bit excited about seeing Atif performing on the big screen, in Kaho Na. However, and this might be because of my pre-existing bias, the song "Dil Pareshan" by Sajjad Ali hit the right notes, and hence very effective, when it was following the young Saifi as he tries to make sense of the confused world around him. The performances of almost all the main characters were commendable, especially of Humaima and Mazhar Sehbai. Special mention is due to the legendary Shafqat Cheema who played a pimp, and especially Iman Ali who played a prostitute named Meena. Though Iman's acting in Khuda Ke Liye suffered greatly because she was attempting a very bad British accent, but in this one she is regal. Her character, Meena, tries to mimic the classic traits of a classy Lucknow prostitute, despite her Lahori upbringing (She mentions that she has watched Pakeeza and Umrao Jaan Ada many, many times to get the language right, and she changed her name because of Meena Kumari). All in all, Bol is highly recommended! The story was heart-wrenching, the acting was brilliant, the direction was really great! Not to forget, Atif Aslam crooning on the big screen!! !